With some parts of the country heading into tornado season, and with natural and man-made disasters a possibility anywhere, there’s no time like now to consider how to keep your business running in the event of a flood, fire, earthquake, or even a cyber attack. 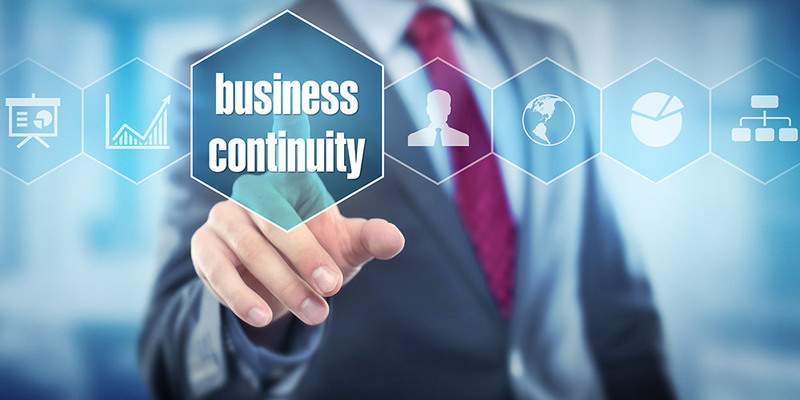 A Business Continuity (BC) plan keeps your business running both during and after a disaster, minimizing downtime and the resulting loss of revenue and reputation. Read on to learn more about what such a plan can mean for your business. An event such as a storm or a cyber attack has the potential to severely impact your business. According to technology research firm Gartner, businesses that experience a data disaster have a two-year survival rate of just 6%. Also, for every hour of downtime, $42,000 can be lost. Moreover, the loss of reputation of your business if customer data is lost or leaked, can be significant. If your business is in an industry subject to special regulations (HIPAA, for instance), data compromise can bring about fines and other penalties. To avoid these consequences, and to get the best results from your business’ technology budget, ask questions to assess your risks. One key consideration is which components of your business are mission-critical. Perhaps it’s maintaining access to data that is needed to run the business. Or it’s keeping the data you have safe. Perhaps it’s ensuring employees within your company can communicate with each other by email. Another part of the plan is to determine recovery-time objectives, how long your business can be interrupted without costing revenue through downtime. When it comes to human resources, decide in advance who is going to be responsible for which elements of recovery. Regarding data storage, decide whether you want it stored on-premise, in the cloud, or a combination of both. In developing a plan, imagine different scenarios; your plan in a natural disaster may be a bit different than in the case of a data breach. Keeping your data safe and your business in business is the goal, whatever the hazard. If you need assistance developing or fine-tuning your business continuity plan, contact A1 BizCom today at (210) 651-5977 today.